To some people, music is more than a sequence of notes and rhythms. It is actually the gateway to a much deeper connection with others. Almost all of us can attach a particular song or album to a certain moment in time, or even a special person, such as a friend or a lover. 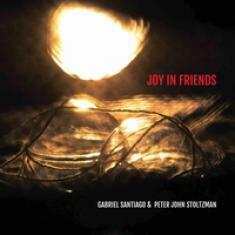 With their new studio release, pianist Peter John Stoltzman and composer/guitarist Gabriel Santiago managed to pay tribute to the unique power of music and their decade-long friendship. The project is aptly titled Joy In Friends, and as the name might suggest, it is a release that's filled with charming textures and heartfelt melodies. The six tracks featured in the EP are absolutely outstanding, but there is something really special about the beautiful rendition of "Imagine" and the stunning performance of "How Deep Is The Ocean," which definitely stand out. The title cut is also remarkable, wrapping up this EP in style.